Update: Coinbase Temporarily Freezes Bitcoin Cash Trades And Launches Insider Trading Probe. 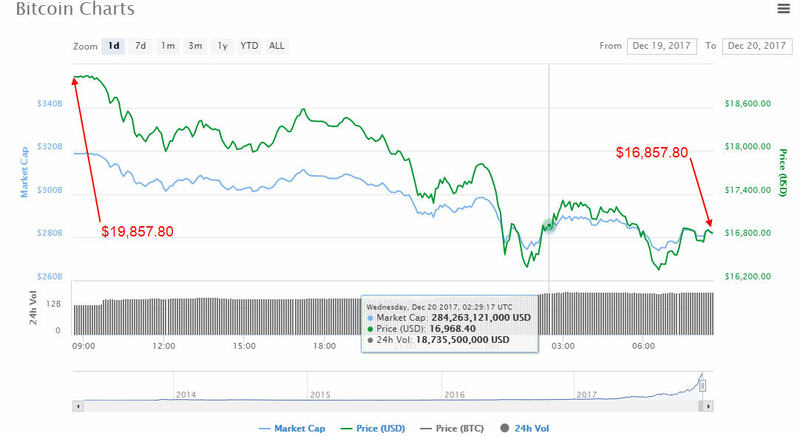 Many of you may have noticed a sharp decline in the price of Bitcoin over a 24-hour period, from $19,029.80 to $16,857.80: a $3000 dip! Why? What happened? Well, it had nothing to do with the Chicago Mercantile Exchange entry into Bitcoin futures. 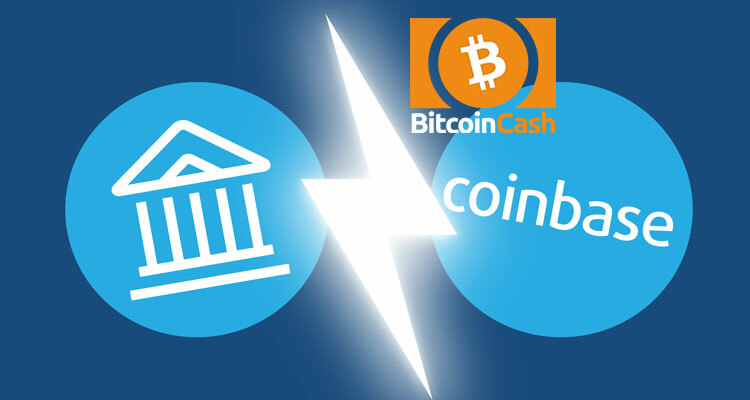 It has everything to do with the Coinbase announcement to add Bitcoin Cash (BCH) to its system. You can now buy and sell Bitcoin Cash on Coinbase. Since the announcement, many have been selling off some of their Bitcoin to buy Bitcoin Cash. This is why we are seeing the drop in the price of Bitcoin and a nearly 50% increase in Bitcoin Cash. 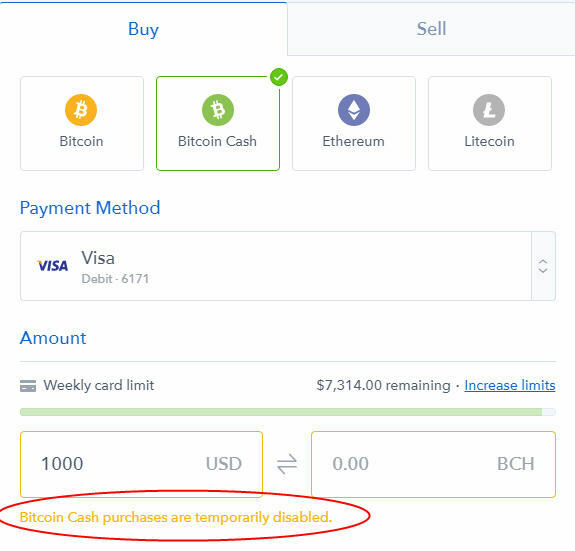 At present – it is 04:00 am EST – Coinbase is so inundated with requests to buy Bitcoin Cash, that purchase of Bitcoin Cash it has been temporarily disabled. What will happen to the price of Bitcoin? Should you buy some Bitcoin Cash? Bitcoin will recover. It always does and the price will resume going up. So hold on to your Bitcoin. In fact, right now is a good time to buy Bitcoin while it is down. Should you buy some Bitcoin Cash? It would not be a bad idea for the following reason: Bitcoin has one problem, that if not dealt with in a timely manner, will make Bitcoin Cash a more attractive investment, its block size of 1MB. That the Bitcoin block size is limited to 1MB means that so many transactions can be squeezed inside of it making the Bitcoin block prime real estate. That means that it will cost more to conduct Bitcoin transactions. Bitcoin Cash was created when Bitcoin “forked” in early August 2017 (SegWit2X), by a group of developers who wanted to alter Bitcoin’s block code so the Blockchain could process more transactions at a faster speed, as well as require a much lower fee. When Bitcoin core developers disagreed, a group of developers decided to copy and modify Bitcoin’s code to create Bitcoin Cash which would remove the signature component of the Bitcoin block and increase the block size to 2MB. The fork was suspended in mid-November 2017. Keyword “suspended.” So at some future date, the fork could resume. So, owning some Bitcoin Cash might not be a bad idea. It is conceivable that Bitcoin Cash might overtake Bitcoin. In my opinion, Bitcoin Cash is Bitcoin. The only difference is the increased block size that would speed up transactions and lower the transaction fees. Logically, it would seem to me, this is the way to go. It solves a problem, Bitcoin – at present – is unwilling to make a move on to resolve. I am buying some Bitcoin Cash … when Coinbase lets me in.